thinks of Goldman. 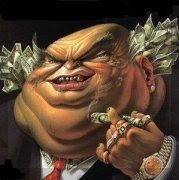 Taibbi calls the U.S. a "gangster state, running on gangster economics." He says we have an economy where "some of us have to play by the rules, while others get a note from the principal excusing them from homework 'til the end of time." And by "others" and "gangsters," Taibbi means the bankers of Goldman Sachs. See 25 people to blame for the financial crisis. It's great stuff. And it's the kind of stuff you want to read at a time when we are still smarting from the one-two combo of the housing bubble and the credit crunch. Unless, of course, you are Goldman Sachs (or one of its hopeful shareholders). substance is there to support the theories?" And Goldman is not alone in criticizing the article. Heidi Moore, a former reporter at the Wall Street Journal who used to cover Goldman and other investment banks for the paper, wrote in response to another journalist's question about the piece, "For the record, I don't think any article that contains the line 'vampire squid sucking the face of humanity' [Taibbi's opening description of Goldman] is real journalism." Moore is right that the rock mag's piece contains a bit of exaggerating and a whole lot of hyperbole. But to call it not real journalism or lacking substance is wrong. There are plenty of facts to back up the case that Goldman generates large profits by taking advantage of others. Goldman is the only Wall Street firm so far to have paid to settle charges — $60 million to the state of Massachusetts — for creating the rotten mortgage bonds that were at the heart of the recent financial crisis. And get this: contained in Goldman's client form is this disclaimer, "You acknowledge that we may monitor your use of the Services for our own purposes (and not for your benefit)." The firm seems to be announcing out loud that it plans to trade against its clients. Goldman responds that this type of language is common on Wall Street. And that is the problem, and the problem with Rolling Stone's article as well. Goldman has done plenty wrong, but not much alone. Goldman may have assisted in the dotcom and housing bubbles, but it is wrong to say that it was the single blower. The only thing Goldman is solely at fault for is being a bit better at playing the game than its peers. firm versus another." Minow's point is this: spend too much time on Goldman and you miss the fact of how broadly the financial system and the regulations that are supposed to keep profiteers in check failed us. 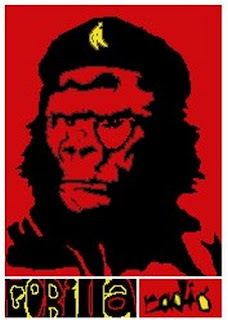 There’s no continent where the pwogwessive “left” (I have to set this exhausted noun on the crutches of gloomy quotemarks) in the United States has entertained higher hopes of Obamian change from traditional U.S. thuggery than Latin America. This was a big constituency for Obama to allure last year. Radicals here in their senior decades have been rooting for Cuba ever since they cheered Fidel’s triumphant entry into Havana in 1959. Twenty-five years later in the late 70s and mid-80s the hottest issue for young people on the left in the US was the brutal and ultimately successful efforts of the US government in the Carter and Reagan years to crush revolutions in El Salvador and Nicaragua. To this day the “Hands off Central America” movement of those years remains by far the most determined mobilization of the US left in the post Vietnam era. Now, after six months, the desire among many of these pwogs to believe that in the White House resides Gob (Good Obama) rather than Jaaap (Just Another Awful American President) is pitiful to behold. 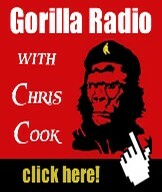 What, in Latin America, do they have to hang their hat on, regarding Gob’s actual performance? He’s maintaining the embargo on Cuba, pushing for the “free trade pacts” that have laid waste Latin American for a generation. He fondly embraces the vicious Uribe regime in Colombia. The zig-zagging response of the Obama administration to last Sunday’s coup in Honduras has now put these hopes to to the test of reality yet again, and already the progressives are successfully persuading themselves that either it’s “unclear” what Obama’s complicity amounted to, or even that he opposed it from the getgo. To believe this nonsense requires powerful doses of self-deception about the nature of this presidency. The coup itself was an entirely traditional enterprise. Honduras is a wretchedly poor place – the third poorest in the hemisphere, where about 70 per cent of the population live in grinding poverty. President Zelaya, ousted last weekend, took office as a credentialed member of the commercial and political elite and then, against all expectation, moved to the left, as well described on this site last week by Nicholas Kozloff and other writers. He ordered a 60 per cent increase in the minimum wage This, he declared, would “force the business oligarchy to start paying what is fair.” He joined a regional organization, the Bolivarian Alternative of the Americas - known by its Spanish acronym ALBA - a socially progressive trade pact backed by Hugo Chávez of Venezuela opposing the U.S “free trade” model. He started using Chavezian rhetoric, declaring his to be “a government of great social transformations, committed to the poor.” He welcomed Cuban doctors and harshly denounced US meddling in the region. 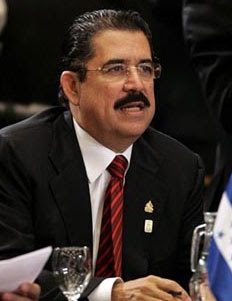 The Honduran elite viewed Zelaya, elected to his 4-year term in 2006, with growing alarm and diligently communicated their disquiet to Washington, where the military and civilian intelligence agencies were already being primed by their substantial assets and agents inside Honduras, historically an important CIA and military staging post in Central America, from which many sinister and lethal operations in the region, such as the Contra war, were supervised. A large number of Honduran military commanders have their own long-term relationships with the Pentagon and the intelligence agencies, many of them forged during their training at Fort Benning, Georgia. Here is the notorious School of the Americas where promising officers from Argentina, Colombia, Honduras and other US allies are given training such useful skills as seizing power, hunting down leftists and torture. In 1996 the Pentagon was forced to release training manuals used at the School providing expertise in torture, extortion and execution. Among the SOA's nearly 60,000 graduates are Manuel Noriega of Panama, Leopoldo Galtieri and Roberto Viola of Argentina, Juan Velasco Alvarado of Peru, Guillermo Rodriguez of Ecuador, and Hugo Banzer Suarez of Bolivia. SOA graduates were responsible for the assassination of El Salvador’s Archbishop Oscar Romero in El Salvador and the El Mozote Massacre of 900 civilians. Check out the excellent School of the Americas Watch website for the detailed history. In 2001 the Pentagon tried to clean up the School’s image by changing its name to the Western Hemisphere Institute for Security Cooperation. It didn’t catch on. School of the Americas alumni are thick on the ground in Honduras, including General Juan Melgar Castro who seized power in 1975, followed five years later by another grad, Policarpo Paz Garcia, patron of the infamous Battalion 3-16, a death squad founded by Honduran SOA graduates with the help of Argentine SOA graduates. There is profuse evidence available in declassified files that these SOA men were in constant touch with CIA case officers and the US Embassy in Tegucigalpa. Last Sunday’s power grab was led by yet another SOA grad, Romeo Vasquez, whose men bundled Zelaya, still in his pajamas, onto a plane to Costa Rica and installed as interim president, Roberto Micheletti, a conservative businessman and creature of the elites.The rationale was an alleged effort by Zelaya to cling to office beyond a Honduran president’s single four year term. Actually Zelaya had merely asked the military to help in distributing materials for a non-binding referendum to assay whether Hondurans were interested in proceeding towards another referendum on constitutional changes. The US government has admitted that its officials had been in touch with the conspirators in the run-up to the coup, It makes the claim that it was seeking to head off any coup. This is as absurd as Henry II claiming he tried to talk his knights out of killing Thomas Becket and that what he really said was “Do not rid of me of this meddlesome priest” and it somehow got garbled and came out as “Who will rid me of this meddlesome priest?” We can take it as an absolute certainly that CIA and Pentagon advisors were at the elbows of the Honduran plotters, giving the green light and barely bothering to maintain deniability, and that Obama and Mrs Clinton had been fully briefed. The coup was modeled on the initial stages of the attempted ouster of Chavez in 2002, before popular resistance put Chavez back in power. Earlier versions of the script are profuse in the archives of the School of the Americas. The first statements from Obama and Secretary of State Clinton bear all the marks of careful preparation. In the coup’s immediate aftermath last Sunday they merely urged negotiations with the coup plotters to "restore constitutional order”, feebly enjoining "all political and social actors in Honduras to respect democratic norms, the rule of law and the tenets of the Inter-American Democratic Charter”, which has all the moral and persuasive power of telling a child not to go swimming immediately after lunch. Carefully avoided was any tough demand by Obama or Clinton – still hoarse from shouts for “democracy” in Iran -- for the legitimate Honduran President Zelaya to be returned to office. The plan was obviously to try and run out the clock with indecisive parleys until Zelaya’s term ends in six months. It was only after furious denunciation of the coup and call for Zelaya’s reinstatement from the Organization of American States, the presidents of Brazil and Argentina , the Rio Group, the European Union, and the UN General Assembly – that Obama was forced to climb off the fence and declare on Monday that "We believe that the coup was not legal and that President Zelaya remains the president of Honduras..." Secretary of State Clinton did not call for Zelaya’s reinstatement. There have been no tough words from Obama or Clinton, about the shutting down of all opposition press, the curfew, the violent suppression of free speech. The silver lining may conceivably be, as in 2002 in Venezuela, that Honduras has been another miscalculation in Washington of the strength of the spirit of real as opposed to merely rhetorical change across Latin America. 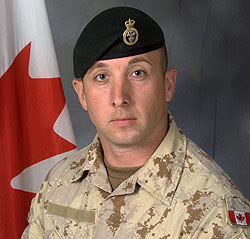 Canadian Forces suffered the loss of its 121st soldier with the death in Afghanistan Friday of Corporal Nick Bulger. The blast occurred around 11:30 am local time in Kandahar province when Bulger's light armoured vehicle was targeted. The explosion was a near miss for Canadian Brigadier-General Jonathan Vance, whose vehicle passed the Improvised Explosive Device (IED) just metres ahead Bulger's vehicle. Five others were wounded in the blast. They are listed in good condition at Kandahar Airfield. "Especially when we're driving down the streets in the rural areas, to look down into the eyes of the children that are there, you get a different perspective. All you see is the war and the destruction and stuff like that, but then when you see those kids running through the streets without a care in the world … being here makes a huge difference." "Hard-won progress is being made in Afghanistan." Adding; "Remarkable Canadians like Corporal Bulger will be remembered for their dedication and ultimate sacrifice for peace and freedom." Islamist charities and the United States are competing for the allegiance of the two million people displaced by the fight against the Taliban in Swat and other parts of Pakistan — and so far, the Islamists are in the lead. The inconspicuous back seat is not what American officials had hoped for. At first, the huge exodus of people from Swat, many of whom had suffered from the brutality of the Taliban, seemed to present an opportunity for Washington to improve its image in Pakistan. “There is an opportunity actually to provide services, much as we did with the earthquake relief, which had a profound impact on the perception of America,” Senator John Kerry, the Massachusetts Democrat who serves as chairman of the Foreign Relations Committee, said during a hearing attended by the Obama administration’s special envoy, Richard C. Holbrooke, at the start of the exodus. In an effort to highlight American concern for the refugees, Mr. Holbrooke visited the camps in June, sitting on the floor of a sweltering tent and talking to people about their plight. “President Obama has sent us to see how we can help you,” he said. 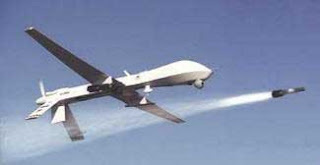 Meanwhile, a Pakistani human rights lawyer filed a petition at the country’s Supreme Court asking it to order the Pakistani government to undertake a “comprehensive report” on U.S. drone attacks against the country. “I have filed the petition in the Supreme Court as a protest to let the world know about the sentiments of the people of Pakistan on consecutive drone attacks which are killing scores of people,” said the attorney, M. Tariq Asad. In his petition, Mr Asad sought the apex court’s direction for the government to submit a complaint against the United States in the International Court of Justice or any other appropriate judicial organ of the United Nations for an appropriate action in accordance with international laws. The petition said that killing and causing serious physical and mental harm to the inhabitants of the northern areas and systemically oppressing them and denying their right to life and liberty amounted to derogation of the Convention on the Prevention and Punishment of the Crime of Genocide and Convention on the Suppression and Punishment of the Crime of Apartheid. A U.S. drone attack in late June on a Pakistani funeral may have killed as many as 70 people and prompted the Pakistani government to call for an end to the strikes. Obama has been bombing Pakistan since the third day of his presidency. Obama has refused to comment directly on the drone attacks and recently told a Pakistani journalist precicely that.